YOU is told from the point of view of a stalker, who works in a bookshop and has a cage in the shop basement. It is a book which is dark, clever, smart and full of obsession, revenge, cunning and nail biting suspense. It took me a while to get a handle on stalker Joe and his clipped thoughts, which switch sharply between undying devotion and murderous planning, yet weirdly, by the third chapter, I found Joe a little relatable and quite witty, which unnerved me slightly! The tale made me feel uncomfortable at times and if you are ever so slightly squeamish, YOU is not for you (geddit? ), but this didn’t stop me reading at all. I love this genre and was along for the ride, wanting to know how the story would unfold between narcissistic sociopath Joe and the young, immature, self absorbed ‘Beck’ who fatefully rolls into the bookstore one day and becomes Joe’s next fascination. Guinevere Beck, or ‘Beck’ to her friends is a pretty self absorbed girl, who has a hipster, pretentious boyfriend which poses a problem for smitten Joe. The characters of Beck and Benji conjured up images of those Bondi and Lower North shore hipsters I see queuing at Boost Juice. They are all about chia seeds, big sunglasses, designer handbags, Facebook and beards. Appearance, with no real substance, but they were likeable enough for me to feel sorry for them and root for them. There was one character, however, who grated on me and I was very glad when they got bumped off (is that bad?) but I will let you guys read the book and work out who that might be for yourself! I loved this book and I think it will be a big hit. I loved delightfully evil and charming Joe who is this generations Patrick Bateman (American Psycho) and the ending was perfect. I cannot wait to read Caroline’s next book! 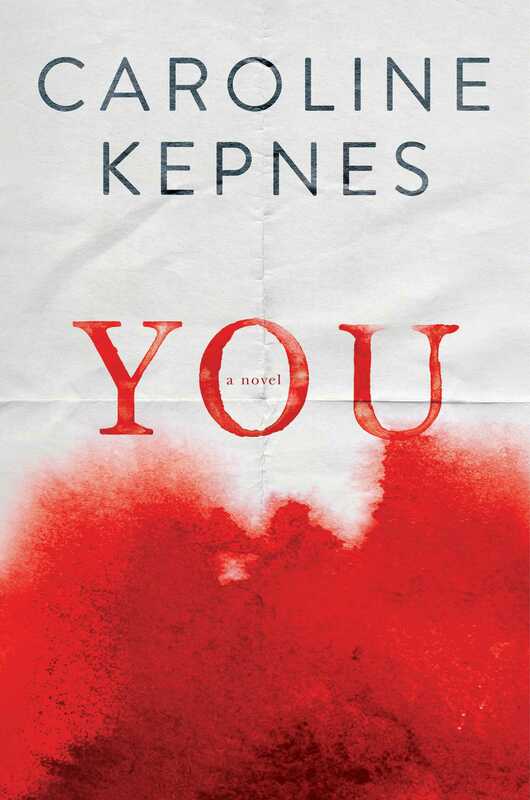 YOU was given to me to review by Simon and Schuster.